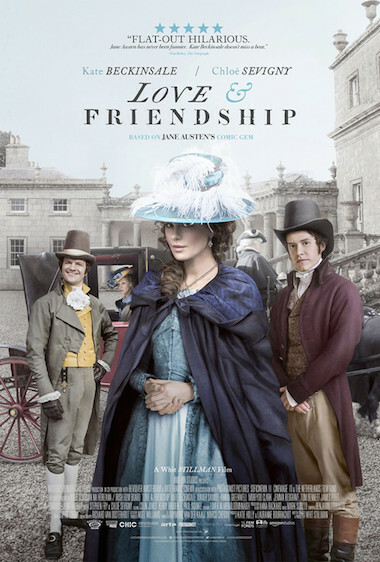 For the June 18 weekend, I caught a film I had almost overlooked, Love and Friendship; that title is misleading since the film is an adaptation of Jane Austen’s Lady Susan. Since I eschew chick flicks, I misinterpreted the title; I was also confused because Love and Friendship is the title of another Austen story. This comes close to an identity crisis. Those who are suffering from withdrawal after the final episodes of Downton Abbey will relish this visit to the late eighteenth century. The dialog is witty and highly acidic. Kate Beckinsale, who is better known for her vampire films, is very good as the meddlesome and flirtatious Lady Susan; I sense the influence of Henry Fielding’s Tom Jones. Those who have watched Bones over the years will recognize Stephen Fry as Mr. Jones. I did not recognize the other members of the cast, but most of them are quite good. The one weakness I noticed as that some key episodes are not seen; that left me with a sense of incompleteness. The sets and costumes are very well done. The film should be available on DVD within a few months and it is worth watching. To round out the afternoon, I decided to see X-Men: Apocalypse once more. As usual, I caught some lines I had missed in my first viewing. Now I have to hold my breath until Independence Day: Resurgence arrives.